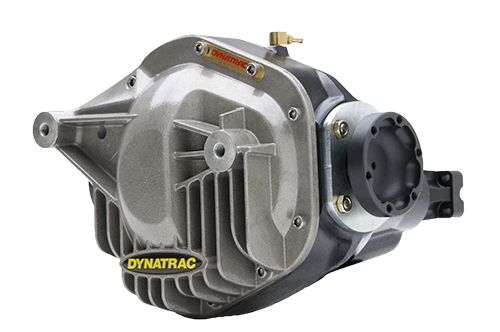 The Dynatrac ProRock 60-IFS/IRS™ features class-leading strength-to-weight ratio, and it is also a cost effective axle that can be used in a variety of applications, ranging from UTVs to armored high-mobility tactical vehicles. At just 13.50 inches (343 mm), Dynatrac IFS/IRS axles are the narrowest in class, providing long half-shafts and more clearance for greater vehicle mobility. All Dynatrac drivetrain systems are engineered to protect against field failures. These axles are cost-effective to deploy and they accept COTS service parts to make service around the world easy and cost-effective. Dynatrac has combined its expertise in engineering and manufacturing high-strength, durable axles with the best in modern Independent Front Suspension (IFS) and Independent Rear Suspension (IRS) systems. Click here to download the datasheet on the Dynatrac Defense ProRock 60-IFS/IRS.